Who does not want to look good? Everyone! It is an inborn trait of the human being. And, skin is an essential part that should be taken care of if you really wish a difference to your looks. A good skin is a symbol of good health and it requires as much care as any other body part does. Clean your skin daily just like you do your teeth and your hair. And healthy looking skin will help make you feel better If your skin is neither dry nor greasy then you have a normal skin. Such skin has the correct oil and moisture balance. The skin tone is even and does not develop spots or blemishes easily. 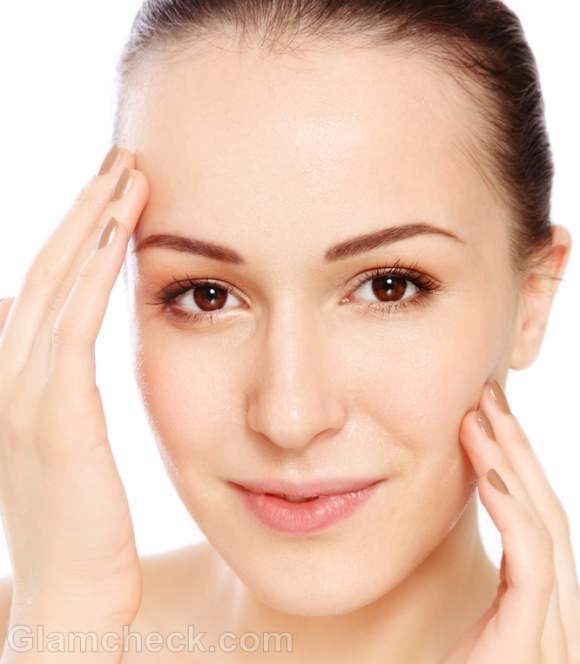 By using the following tips you can maintain younger and healthy looking skin. Our body comprises about 60% of water. 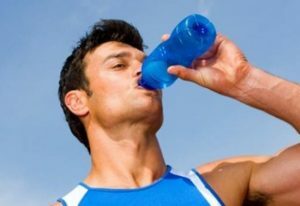 Scientists have commonly recommended drinking of eight 8-ounce glasses of water daily that equals about 2 liters. Keep on sipping water constantly throughout the day… even when you’re not thirsty or drink enough to compensate for the lost fluids i.e., due to urine, sweat etc. To balance the water level of your body. Water-based products boost hydration so it is advisable to use them as part of your morning routine. If one finds it difficult to drink plain water, add freshly squeezed juice or you can have some fresh fruit juices. Be conscious of what you eat daily as diet play a role in strengthening your skin’s ability to maintain moisture. Foods like walnuts, flaxseed, salmon, and olive oil can help skin cells stay hydrated as they contain essential hydrating nutrients. Bad skin quality can also be caused by a poor diet and lack of vitamins, so make sure you include plenty of fruit, protein. 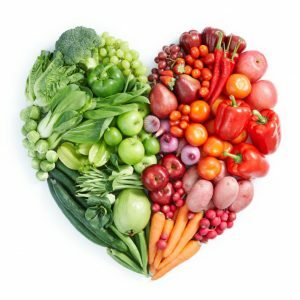 Foods like fresh fruits and green leafy vegetables are naturally high in fluids, offering extra benefit of fiber, vitamins, minerals, as well as antioxidants. Selenium, zinc, vitamin C, and E rich foods are best for the skin. Skin is the biggest organ of our body. Cleansing or thoroughly cleaning it is the must. Firstly you must figure out your skin type. Clean your hands first. 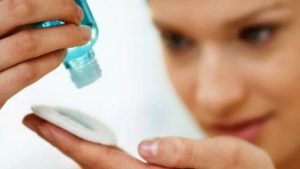 Then use a gentle cleanser according to your skin type. Milk, oatmeal , oils like olive oil, castor oil, almond oil, and honey are few best cleansers. exfoliation is basically the elimination of any dead skin cells and reduces flakiness. Facial scrubs are good but if your skin is already dry then make use of exfoliates that also moisturize your face because they contain chemicals that are designed for more oily skin and will make your dryness worse. Exfoliate skin twice or thrice a week to remove dead skin cells and improve blood circulation to the face. Exfoliation should be followed by toning. A good moisturizer is best at improving the look and feel of dry skin, and its application can help heal dehydration. The three key ingredients to look for are Steadicam acid, emollient ceramide, and cholesterol. A quarter-size dollop of a lotion is better for your skin than drinking a quart of water. That natural moisture level depends on what your skin’s protective lipid barrier is exposed to. This lipid layer helps in moisture absorption and keeps germs and irritants out. 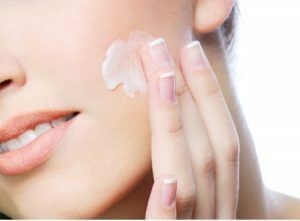 You must have two different moisturizers – a day moisturizer and a night moisturizer. Your day moisturizer should be lighter and used to prepare your skin for the makeup coverage. Your night moisturizer should be a bit heavier but should also penetrate deeper into the skin to obtain long-term hydration during the sleep. After you exfoliate, follow with a body cream to seal in moisture, and always protect freshly exfoliated skin with an SPF. You must apply enough and reapply frequently. Studies indicate that most people do not apply nearly as much SPF as they should. Stay out of the SUN whenever you can. Nowadays tan may be a popular summer look, but it indicates damage. Treat your skin with age-fighting ingredients to help undo any damage that may occur and to protect it from the aging effects of UV rays. 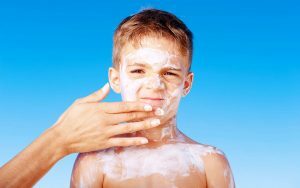 Applying a sunscreen lotion with moisturizer providing SPF of 15 or of broad-spectrum agent higher than 15(for lighter skin tone) that protects against UVA and UVB rays and keeps the skin healthy. Mix gram flour with yogurt and a few drops of lemon juice and apply on the face until it is dry. This is the best remedy to remove tan. A good night’s sleep means good skin health because when you’re sleep-deprived, your body releases more cortisol which is the stress-causing hormone. Increased levels of cortisol can lead to increase stress hurting your skin’s quality. Keep your skin glowing by a simple smile. 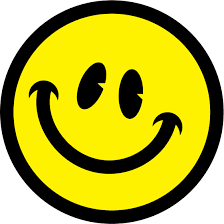 Smiling is a positive action or a positive reaction and also contagious. Smile stimulates the capillaries in the face which improves circulation and brings oxygen to your skin. This creates a chemical reaction in our body that sends a signal to your brain and brings the feeling of happiness. Exercise helps skin cells to nourish and keep them vital. During exercise Sweating also helps propel those toxins, oils, and dirt out of your pores. Your skin needs time to repair and the best time is when you’re sleeping. Raw or Unboiled Milk is very useful for getting a better complexion It is very easy to apply also Take some raw milk and apply it all over your face and neck. Let it stay there for about 10 minutes. After that, wash it off with cold water. Your skin becomes fairer and softer after the first application itself. 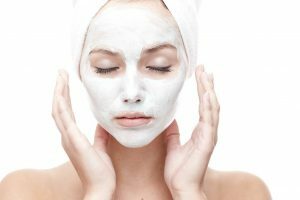 Another idea is to use a face pack. 1 tablespoon honey. Tablespoon of lemon juice. Clean your face and apply the mixture. Leave it on for 10 minutes till it dries off. Wash off using cold water, and your skin becomes clean and fair. Drinking water can clear up your skin and people often report a healthy glow after drinking water ,it would not happen overnight of course but just a week of drinking you will good effects on your skin drinking water keeps your skin moisturized and reduces the appearance of fine lines and wrinkles if you don’t enough water your body will try to retain it in order to conserve resources. this retention makes your skin puffy and can even lead to bloating. Mix all ingredients properly in a bowl wash your face dry with a soft towel, now apply this mixture and face can be applied on hands and neck if you like, leave for 15 minutes, wash with cool water do this 3 times a week.